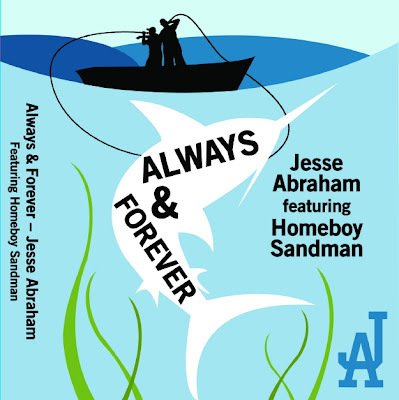 Although this is the first time Jesse Abraham and Homeboy Sandman have coexisted on a song, they are long-time musical collaborators. Initially appearing on stage together in 2008, JA and Sandman went on to rock dozens of venues together, including NYC staples such as The Nuyorican and Joe's Pub, as well as the reputable SXSW Festival. These two unique emcees come together on "Always & Forever" produced by K.O. Beatz, featuring additional vocals by Corina Corina. The song will appear on Jesse Abraham's revamped One Day project, dropping June 14th via DJBooth.net.